Three ways to play and win, including a chance to spin for the top prize. 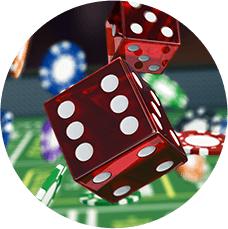 THE BIG SPIN and THE BIGGER SPIN are two Instant scratch games that offers players the chance to Scratch, Watch and Spin. Players can choose to buy and scratch a BIG SPIN or BIGGER SPIN ticket for a chance to win instantly, or advance to a Watch ‘N Win style game offering even larger prizes, including a chance to visit the OLG Prize Centre and spin a giant wheel for larger prizes, live on camera. 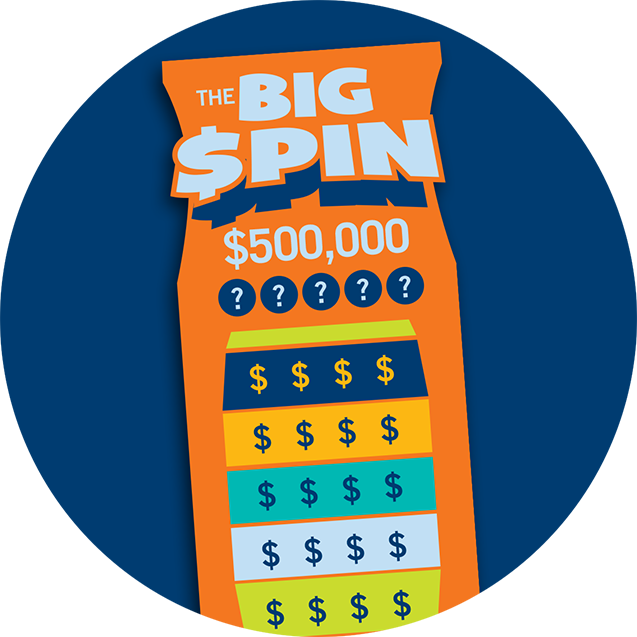 BIG SPIN: To win an instant cash prize from $5 to $100,000 or a “SPIN” prize. 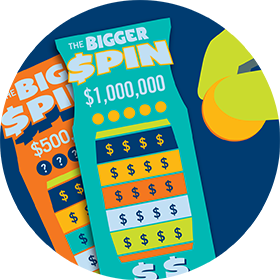 BIGGER SPIN: To win an instant cash prize from $10 up to $150,000 or a “SPIN” prize. 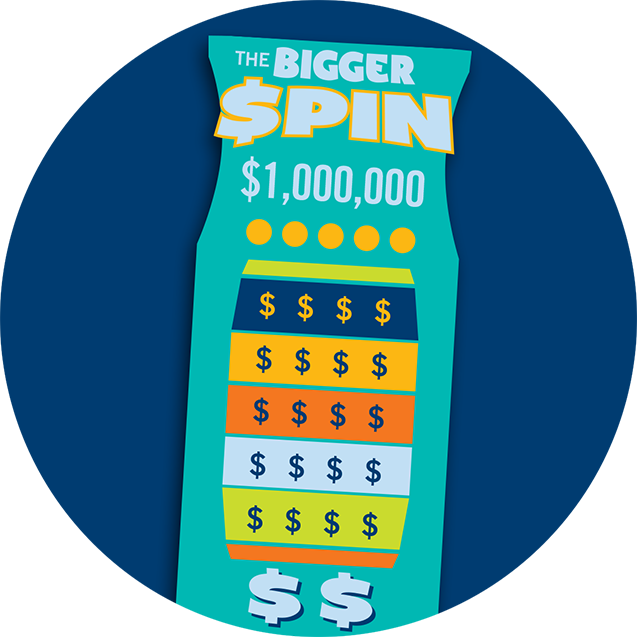 BIG SPIN: If the prize won is “SPIN” watch the animated wheel on the lottery terminal in store and win a guaranteed prize from $10 to $10,000 or BIG SPIN. 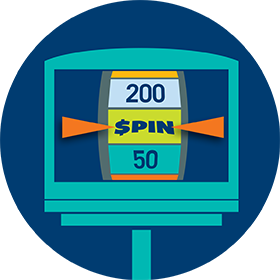 BIGGER SPIN: If the prize won is “SPIN” watch the animated wheel on the lottery terminal in-store to win a guaranteed prize from $10 to $150,000 or BIGGER SPIN. BIG SPIN: The BIG SPIN Wheel for a guaranteed prize from $100,000 to $500,000. 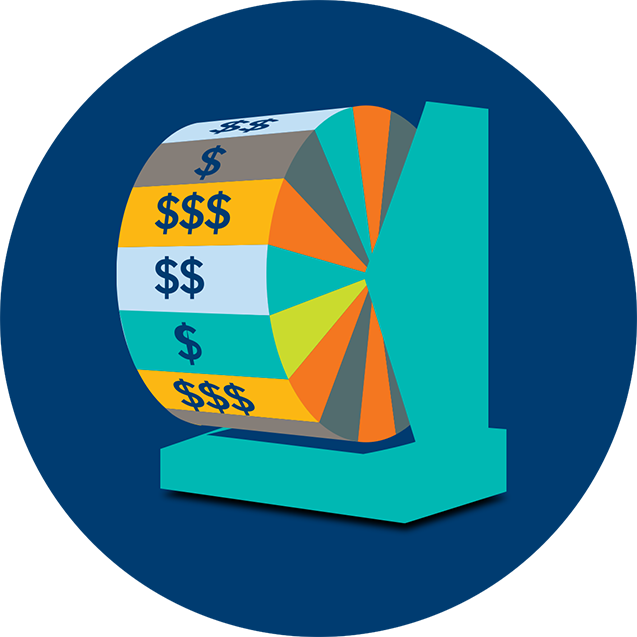 BIGGER SPIN: The BIGGER SPIN Wheel for a guaranteed prize from $500,000 to $1,000,000. The BIG SPIN costs $5 to play and has prize range of $5 – $500,000. The BIGGER SPIN costs $10 to play with double the prize range from $10–$1,000,000 and features two additional scratch games per ticket. Not sure which one to choose? Each ticket is a random shot at winning, and the odds—depending on if you choose BIG or BIGGER—are the same for each ticket. In this situation, it’s best to choose the ticket that fits your entertainment budget. Set a Budget. Scratch tickets are fun, but still a form of gambling. Treat them like any other entertainment you spend money on. Scratch Your Ticket. Ask your retailer for either THE BIG SPIN ($5) or BIGGER SPIN ($10) and scratch the game areas. Check Your Ticket. See if you won by checking at your retailer, online at OLG.ca, or use the Lottery App. Learn more here. Watch. If your scratch ticket prize is a “SPIN”, then you get a guaranteed prize from the animated wheel on the lottery terminal in store. Spin. If the in-store wheel lands on BIG or BIGGER SPIN, then you’ve won the chance to spin THE BIG SPIN or BIGGER SPIN Wheel for a guaranteed prize! Playing an Instant ticket is a form of gambling. Treat it as part of your entertainment budget -cash you’d spend on a movie or popcorn. Scratch tickets are often impulse buys, so it helps to plan how much you’re willing to spend in a week. Track your spend. 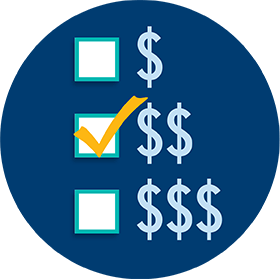 It’s easy to lose track, so tracking exactly how much you spend and win in a month can help you stay within your budget. 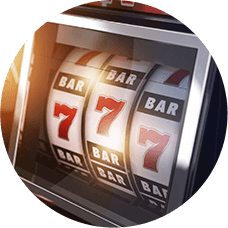 Scratch the YOUR NUMBERS and LUCKY NUMBERS sections on your THE BIG SPIN INSTANT ticket entirely. 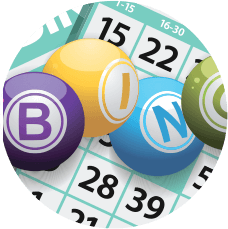 Match any one of Your Numbers to any one of the Lucky Numbers and win the corresponding prize from $5 to $100,000 or a SPIN prize. THE BIGGER SPIN features three scratch game areas per ticket. 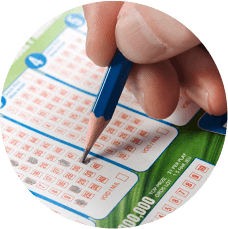 In Game 1, scratch the Your Numbers and the Lucky Numbers sections on your THE BIGGER SPIN INSTANT ticket entirely. Match any one of Your Numbers to any one of the Lucky Numbers and win the corresponding prize. 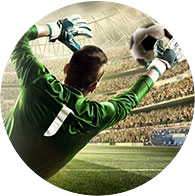 In Games 2 and 3, uncover three identical prize amounts or SPIN prizes in the same game to win that prize. Instant prizes range from $10 to $150,000 or a SPIN prize. After you’ve scratched the ticket, double check the instructions on the back to see if your ticket is a winner. 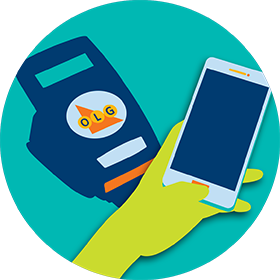 Scratch the Scratch & Scan area completely to reveal the barcode, then scan it using the ticket checker at OLG authorized retailers or ask a participating retailer to scan it at the lottery terminal. You can also scan it with the OLG Lottery App. Don’t forget to sign your ticket! If the prize won is “SPIN” on your BIG SPIN ticket, you win a guaranteed prize ranging from $10 to $10,000 or a BIG SPIN. Visit a lottery retailer to validate your ticket and watch the animated wheel on the customer display unit spin to reveal your prize. If the prize won is “SPIN” on your BIGGER SPIN ticket, you win a guaranteed prize ranging from $10 to $150,000 or a BIGGER SPIN. Visit a lottery retailer to validate your ticket and watch the animated wheel on the customer display unit spin to reveal your prize. If the animated wheel lands on BIG SPIN, you win a spin on THE BIG SPIN Wheel at the OLG Prize Centre in Toronto for a guaranteed prize ranging from $100,000 to $500,000. 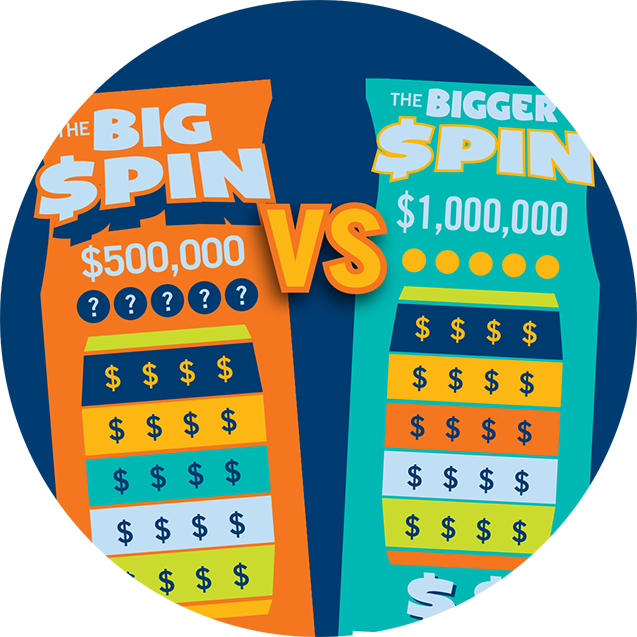 If the animated wheel lands on BIGGER SPIN, you win a spin on THE BIGGER SPIN wheel at the OLG Prize Centre in Toronto for a guaranteed prize ranging from $500,000 to $1,000,000!